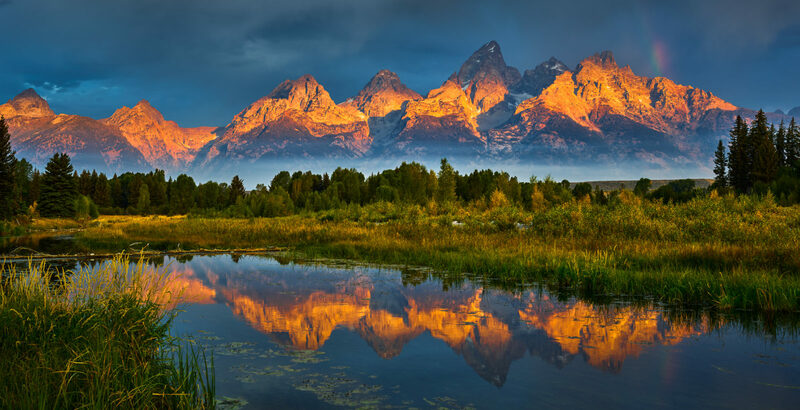 Sunrise in Grand Teton National Park from Schwabacher's Landing. Ground fog was mixed with smoke from the 2016 fires along the Teton / Yellowstone boundary. My wife and I left camp around 4 AM to drive to this spot hoping that there would be a break in the clouds to let the rising sun hit the peaks. The small rainbow at the right was an added bonus.